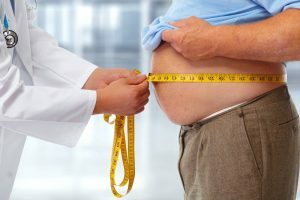 The rising epidemic of obesity, particularly obesity-associated cardiovascular disease, nonalcoholic fatty liver disease, type 2 diabetes, etc., has become a major global health crisis, thus the prevention and treatment of obesity have become the focus of intense research globally. This has led researchers to investigate numerous compounds and examine the role of bacteria in the gut in inflammation and obesity. Quercetin and Resveratrol are both plant polyphenols and are commonly found in plant-based foods such as fruit and vegetables. Despite both having a relatively low level of bioavailability, both of these common plant polyphenols are known to have anti-inflammatory effects (1-5). Some studies also suggest these compounds may also have influence over obesity and thus could potentially be used to treat metabolic disorders (6-7). Researchers in a new study suggest that the gut microbiota could be a potential target for a combination of resveratrol and quercetin to combat metabolic disorders like obesity (8). There are also potentially wider implications here too, inflammation is a major component of the aging process and is known to drive the development of age-related diseases. The microbiota describes the diverse community of symbiotic and pathogenic microorganisms found on and within all multicellular organisms studied to date, ranging from plants to animals. The microbiota includes a myriad collection of bacteria, fungi, archaea, protists, and viruses. These communities exist in and on all living things that are exposed to the normal environment. Research shows that as we age, the gut microbiota increasingly favors proinflammatory activity, as a lifetime of exposure to pathogens swings the balance in the gut to an increasingly pro-inflammatory one. Some recent research even suggests that age-related changes in the microbiota are the initial origin point of age-related inflammation which starts off the vicious cycle of inflammaging. Indeed in one study, the researchers found that mice kept in a germ-free environment had no age-related inflammatory cytokines strongly suggesting the gut microbiome could be the root of age-related inflammation (9). It may be the case that the origin point for age-related inflammation is indeed the gut microbiota, certainly, research is increasingly pointing towards that conclusion. Changes to the diversity of the microbiota, cell debris, crosslinks, a dysfunctional immune system, and senescent cell accumulation all contribute to a collective chronic, smoldering, background of age-related inflammation commonly called ‘inflammaging’. However, the exact hierarchy of these sources is yet to be established by science (10). Some research suggests that inflammaging is the result of dysfunctional macrophages and involves a number of tissues, organs, interacting with the gut microbiota. There is a complex interplay between these elements that creates a balance between proinflammatory and anti-inflammatory responses and once that fine balance is broken chronic inflammation is the result (11). Finally, inflammation strongly influences fat metabolism as we age via its influence on nerve-associated macrophages which reside on the nerves present in the stored belly fat (12). These nerve-associated macrophages become increasingly inflamed as we grow older due to inflammation from the previously mentioned sources of inflammaging. The increasingly inflamed these nerve-associated macrophages get, the more they stop the neurotransmitters, which are chemical messengers, from functioning properly in the fat cells and hence releasing their stored fat energy. This is thought to be a primary reason why older adults often struggle to control weight gain and lose weight as they age. Thus it is clear to see the potential link between inflammation, obesity, and age-related metabolic conditions and diseases. Could a potential solution to these problems be better control of our gut microbiome to reduce inflammation levels in the body? The researchers in this new study hypothesized that the gut microbiota is a potential therapeutic target for a combination of quercetin and resveratrol (CQR) as a means to restore gut microbiota dysbiosis induced by a high-fat diet. The research team divided Wistar rats into three groups. The first group was fed a normal diet, the second group was fed a high-fat diet and the third group was fed a high-fat diet and treated with CQR. They used quercetin at 30 mg/kg body weight a day, and resveratrol at 15 mg/kg body weight a day. After a period of 10 weeks, the CQR group had lower body weight gain and less visceral fat. In addition to this, they also had a reduced level of serum lipids, reduces inflammatory biomarkers (IL-6, TNF-α, and monocyte chemotactic protein (MCP)-1), and a reversal of serum biochemical parameters (adiponectin, insulin, leptin, etc.). Additionally, in the CQR group compared to the high-fat diet rat group, there was an increased level of Bacteroidales_S24-7_group, Christensenellaceae, Akkermansia, Ruminococcaceae, and its genera Ruminococcaceae_UCG-014, and Ruminococcaceae_UCG-005. These bacteria are associated with the effect of relieving high fat diet-induced obesity. Taken together, these results suggest that the use of CQR may have potential benefits for ameliorating the effects of high fat diet-induced obesity and reducing the impact of high-fat-diet-induced gut microbiota dysbiosis. The wider implication is that modulating the microbiota to reduce inflammation could also be potentially beneficial for reducing the impact of aging and delaying or preventing age-related diseases driven by inflammation. More research is needed on the complexity of the microbiota but these results are promising and show that simple plant polyphenols have a strong influence on the bacteria in our gut and inflammation. (1) Švajger, U., & Jeras, M. (2012). Anti-inflammatory effects of resveratrol and its potential use in therapy of immune-mediated diseases. International reviews of immunology, 31(3), 202-222. Csiszar, A. (2011). Anti‐inflammatory effects of resveratrol: possible role in the prevention of age‐related cardiovascular disease. Annals of the New York Academy of Sciences, 1215(1), 117-122. (2) Das, S., & Das, D. K. (2007). Anti-inflammatory responses of resveratrol. Inflammation & Allergy-Drug Targets (Formerly Current Drug Targets-Inflammation & Allergy), 6(3), 168-173. Alarcon De La Lastra, C., & Villegas, I. (2005). Resveratrol as an anti‐inflammatory and anti‐aging agent: Mechanisms and clinical implications. Molecular nutrition & food research, 49(5), 405-430. (3) Li, Y., Yao, J., Han, C., Yang, J., Chaudhry, M. T., Wang, S., … & Yin, Y. (2016). Quercetin, inflammation and immunity. Nutrients, 8(3), 167. (4) Qureshi, A. A., Khan, D. A., Mahjabeen, W., Papasian, C. J., & Qureshi, N. (2012). Suppression of nitric oxide production and cardiovascular risk factors in healthy seniors and hypercholesterolemic subjects by a combination of polyphenols and vitamins. Journal of clinical & experimental cardiology, 008. (5) Seo, M. J., Lee, Y. J., Hwang, J. H., Kim, K. J., & Lee, B. Y. (2015). The inhibitory effects of quercetin on obesity and obesity-induced inflammation by regulation of MAPK signaling. The Journal of nutritional biochemistry, 26(11), 1308-1316. (6) Zhao, L., Zhang, Q., Ma, W., Tian, F., Shen, H., & Zhou, M. (2017). Combination of quercetin and resveratrol reduces obesity in high-fat diet-fed rats by modulation of gut microbiota. Food & Function. (7) Thevaranjan, N., Puchta, A., Schulz, C., Naidoo, A., Szamosi, J. C., Verschoor, C. P., … & Schertzer, J. D. (2017). Age-Associated Microbial Dysbiosis Promotes Intestinal Permeability, Systemic Inflammation, and Macrophage Dysfunction. Cell Host & Microbe, 21(4), 455-466. (8) López-Otín, C., Blasco, M. A., Partridge, L., Serrano, M., & Kroemer, G. (2013). The hallmarks of aging. Cell, 153(6), 1194-1217. (9) Franceschi, C., Garagnani, P., Vitale, G., Capri, M., & Salvioli, S. (2016). Inflammaging and ‘Garb-aging’. Trends in Endocrinology & Metabolism. (10) Camell, C. D., Sander, J., Spadaro, O., Lee, A., Nguyen, K. Y., Wing, A., … & Rodeheffer, M. S. (2017). Inflammasome-driven catecholamine catabolism in macrophages blunts lipolysis during ageing. Nature, 550(7674), 119-123.